Strawberries are not only delicious but also very versatile, and is the most widely cultivated berry throughout the world. It is difficult to believe that something as delicious as it can also be filled with nutrients. Here on these page we will see different Health Benefits of Strawberries. They are low in fat and contain the following nutrients: Vitamin B, C and K, Manganese, Folate, Magnesium, Fiber, Omega-3 fatty acids, Magnesium, Iodine, Copper and Phytonutrients. 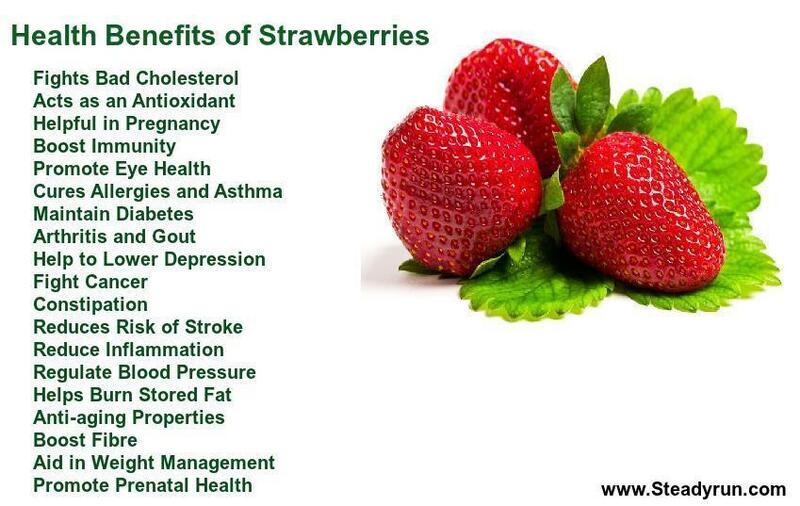 These nutrients will benefit in many ways, so let us see some of the useful health benefits of Strawberries. 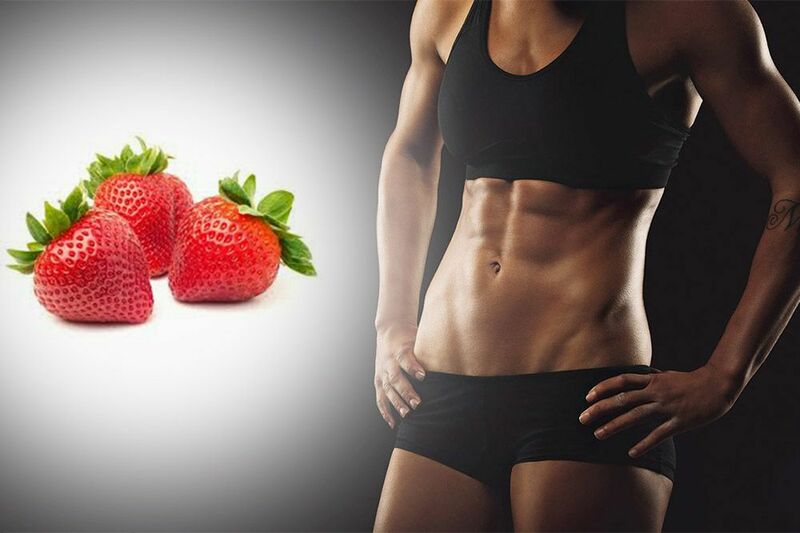 Strawberries are a delicious fruit and eating them in moderation can help you lose weight. Strawberries are packed with antioxidants and anti-inflammatory enzymes, and have enough fiber to boost your digestion. 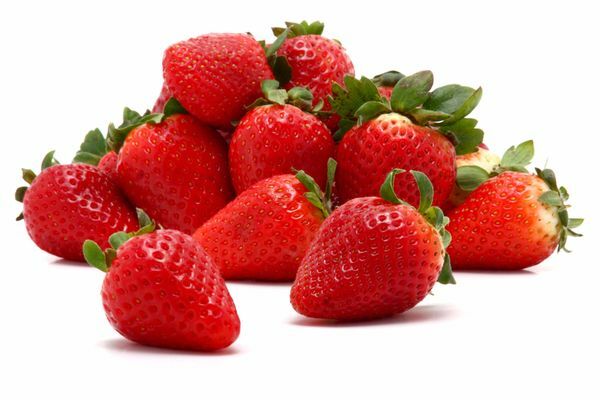 Strawberries are a healthy food to eat to lose weight, because there are 49 calories in one cup of strawberries. They are also loaded with Vitamin C, 3 grams of fiber, and some calcium, magnesium, and potassium. Strawberries are rich sources of phenolic antioxidants that can help in weight loss. The exciting research that is being done shows that the special nutritional components in strawberries might be able to increase the body’s production of a hormone that stimulates your metabolism and suppresses your appetite. They can slow the rate of digestion of starchy foods. This helps control the rise in blood sugar that follows a starchy meal. This is a key benefit for those with adult-onset (Type 2) diabetes. Strawberries also can help your weight-reducing hormones function properly. The ellagic acid and anthocyanins found in strawberries aid weight loss. Chronic inflammation blocks the hormones involved in keeping you lean. Anti-inflammatory foods like strawberries help restore normal function to weight-reducing hormones. Anthocyanins actually increase the body’s production of a hormone called adiponectin, which stimulates your metabolism and suppresses your appetite. Both ellagic acid and anthocyanins slow the rate of digestion of starchy foods, controlling the rise in blood sugar that follows a starchy meal. This effect is used to control blood sugar in people with adult-onset (Type 2) diabetes. Nutrient-rich and packed with antioxidants (like vitamin C), they offer a wide range of health benefits, some of which may surprise you. One serving contains 51.5 mg of vitamin C, which is about half of your daily requirement. Double a serving to one cup and get 100 percent. Vitamin C is a well-known immunity booster, as well as a powerful, fast-working antioxidant. Among three dozen participants at high risk of developing esophageal cancer in China, it turned out that eating strawberries helped prevent early lesions from developing into tumors. In a study, strawberry extract was effective at inhibiting the growth of human oral, breast, colon and prostate tumor cell lines. Super berries contain high amounts of specialized nutrients and powerful antioxidants that create apoptosis. Apoptosis, often called “cellular suicide,” is a natural process creating the fine balance between cell death and cell renewal. It’s a crucial system used by the body to get rid of cells that are abnormal, mutated, or no longer function properly. The antioxidant properties present in them may also help to prevent cataracts the clouding over of the eye lens which can lead to blindness in older age. Our eyes require vitamin C to protect them from exposure to free-radicals from the sun’s harsh UV rays, which can damage the protein in the lens. Vitamin C also plays an important role in strengthening the eye’s cornea and retina. Because of the anti-inflammatory effects of quercetin, consuming them may help to alleviate symptoms of allergies including a runny nose, watery eyes and hives. These are a low glycemic index food and high in fiber, which helps to regulate blood sugar and keep it stable by avoiding extreme highs and lows. The degeneration of muscles and tissues, the drying up of the fluid which helps increase mobility of the joints, and the accumulation of toxic substances and acids (such as uric acid) in the body are some of the ill effects of free radicals. Vitamin C is one of the antioxidants that can help with cancer prevention since a better immune system is the body’s best defense. They are filled with biotin, which helps build strong hair and nails. They also contain the antioxidant ellagic acid, which protects the elastic fibers in our skin to prevent sagging.